As part of Geography Week 2015 the Geography Department at NUI Galway hosted a workshop for members of the Galway Geological Association (GGA) demonstrating how past environments are reconstructed using biological proxies. The National Library of Ireland's, Ireland from Maps exhibition will be on display in Enniscorthy Castle for the duration of GeoWeek. The exhibition has broad appeal and it is of particular interest to primary and second-level students and has been specially written with them in mind. Local Transition Year students will visit the Geography dept on Monday for a seminar on Mapping and then will get a chance to see the 'octocoptor' mapping drone in action! ​World GIS Day Wednesday 18th November 2015 at GAP - Web My Map! 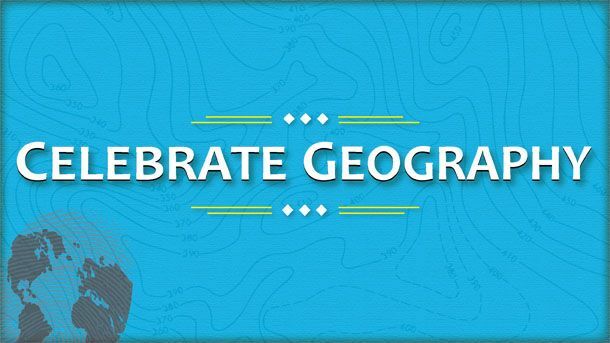 For this year’s Geoweek competition we are asking people to make a map of their community. Email: irene.morris(at)nuim.ie to book your place. The Irish Historic Towns Atlas was established as a Royal Irish Academy research project in 1980. Since, 27 atlases of Irish towns and cities, most recently Youghal, Co. Cork have been published. It is an international project with over 520 comparable town atlases produced over seventeen European countries. Current research and cartography is focusing on the city of Galway, while the production of ‘digital’ atlases is central to the project’s development for the future. The Royal Irish Academy library is home to a considerable collection of Ordnance Survey memoirs, illustrations and maps. The Academy has a long association with the Ordnance Survey and was the intellectual home for many figures associated with the nineteenth-century institution such as O’Donovan, Petrie, O’Curry, Colby and Larcom. Visitors will be welcomed to the Irish Historic Towns Atlas project office to see and discuss work in progress and will then be introduced to the Academy’s Ordnance Survey collection.